I totally missed sharing this the other day! 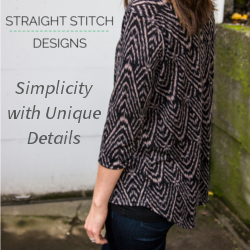 I put together a fun and very simple tutorial turning the Daydreamer Dress into a ruffle neck top for Tie Dye Diva. 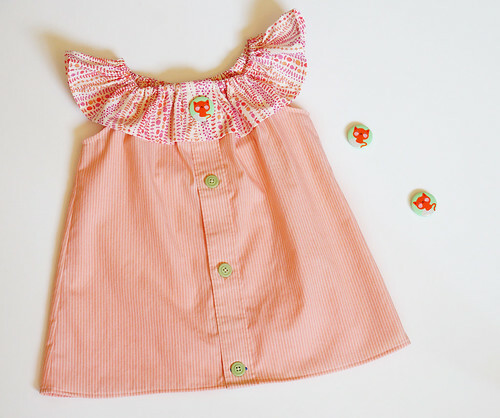 It takes seriously less than an hour to make one of these, and they’re great for refashioning men’s button down shirts (my girl insisted on the cat button “brooch”). I’ve made four already, and they’re totally being loved by my girls! I love that they can put them on all by themselves. Makes my life easier! 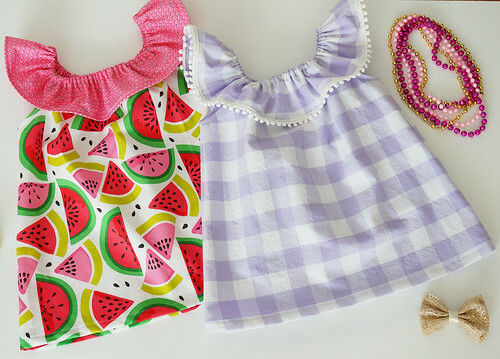 To learn how to make them, read on at How to Sew a Ruffle Neck Top. In other news, I’ve been doing quite a bit of stress sewing (so much going on right now I need the distraction), and I’ve been quite productive. Apparently stress makes me want to take on the challenging sewing projects, like fitted shorts (I totally nailed it too! well mostly…) and finally tackling a swimsuit for myself (seriously, it’s all about the support there, am I right?!). I can’t wait to share them soon! Happy sewing everyone! Thank you so much! I’m totally making one for myself now too!